Situated in Fort St. John, this eco-friendly hotel is within 2 mi (3 km) of Pomeroy Sport Centre, Totem Mall, and North Peace Museum. Fort St. John Rotary Spray Park and Fort St. John Hospital are also within 2 mi (3 km). 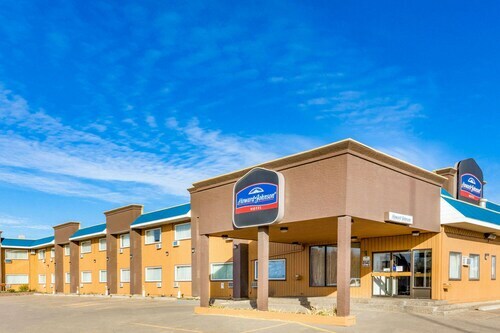 Situated near the airport, this hotel is within 2 mi (3 km) of Pomeroy Sport Centre, Totem Mall, and North Peace Museum. Fort St. John Rotary Spray Park and Fort St. John Visitor Information Centre are also within 2 mi (3 km). 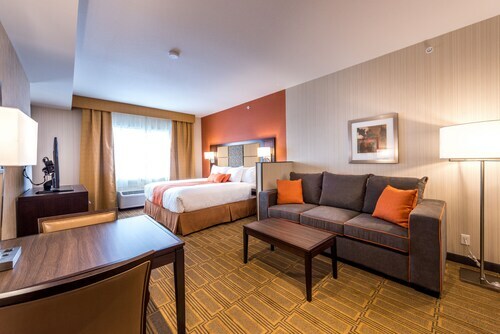 Situated in Fort St. John, this hotel is within 1 mi (2 km) of Pomeroy Sport Centre, Totem Mall, and North Peace Museum. Fort St. John Rotary Spray Park and Fort St. John Visitor Information Centre are also within 1 mi (2 km). 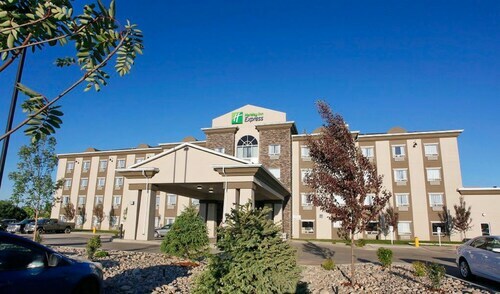 Situated in Fort St. John, this eco-friendly hotel is within a 15-minute walk of Pomeroy Sport Centre and Totem Mall. North Peace Museum and Fort St. John Rotary Spray Park are also within 1 mi (2 km). Situated in Fort St. John, this hotel is within a 15-minute walk of Pomeroy Sport Centre, Totem Mall, and North Peace Museum. Fort St. John Rotary Spray Park and Fort St. John Visitor Information Centre are also within 1 mi (2 km). 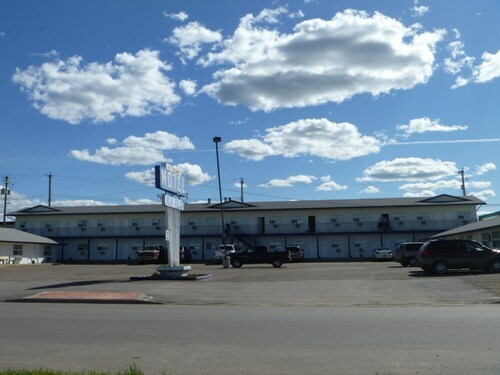 Situated in Fort St. John, this motel is close to Pomeroy Sport Centre, Totem Mall, and North Peace Museum. Also nearby are Fort St. John Rotary Spray Park and Fort St. John Visitor Information Centre. Situated in a shopping district, this hotel is within a 15-minute walk of Pomeroy Sport Centre and Totem Mall. North Peace Museum and Fort St. John Rotary Spray Park are also within 1 mi (2 km). 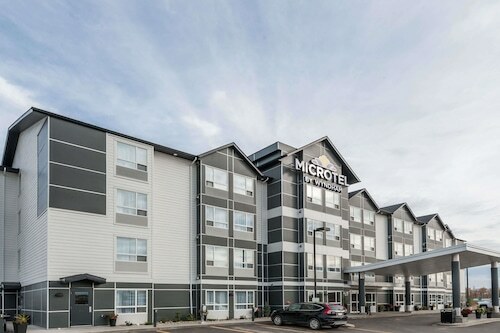 Located in the heart of Fort St. John, this eco-friendly hotel is within a 5-minute walk of Totem Mall, Fort St. John Rotary Spray Park, and North Peace Museum. Fort St. John Visitor Information Centre and Pomeroy Sport Centre are also within 10 minutes.